Sarasota Tree Care Services is here to help with all the tree care needs of the greater Bayview, FL community. 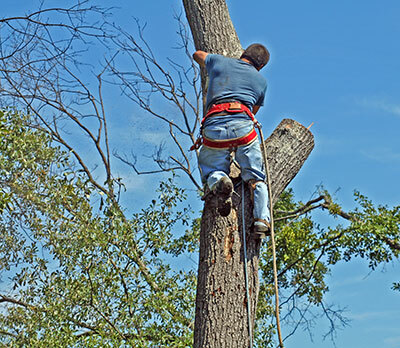 We’ve been handling tree trimming, removal, fertilization and general care for years, and our customers know they can count on us for quality and speed. Choosing trees for a property’s landscape is an important decision. Trees contribute to green space and beautify areas, helping a property’s appeal and value. Trees require a lot of care to grow well. We work with customers to understand what they want out of their trees, and then our expert team of technicians makes it happen. Having a professional service maintain your trees will help avoid any unwanted overgrowth or decay. They will keep your trees looking healthy and happy so you can enjoy their beauty for years. Managing trees will help the growth of other greenery on your property. It improves like and shade coverage. It also prevents overgrowth from disrupting powerlines or growing into buildings and damaging them. Some of the services we specialize in are stump grinding, large limb removal and root management. This keeps trees contained and growing in a manner that helps your property. Mismanaged trees can become a hazard. Dead limbs can catch on fire or fall on passing cars and pedestrians. Roots can break up sidewalks and driveways. They can also grow into neighboring properties causing damage which often results in legal action. Our customers know they can count on our staff to keep their trees in top shape and serving the purpose they were planted for. Trimming and pruning is critical to healthy tree growth. A lot of times it’s hard to predict how a tree will grow and affect your property years down the road. We recommend regular trimming on even young trees to guide their growth and contain them, so they remain manageable. Well-kept trees contribute to the beauty and aesthetic of a property. We also can trim or prune trees to accommodate changes in the property so removal can be avoided. If you’re adding an addition on a house, or building a new parking lot, strategic tree trimming can keep the trees you love in place. We can simply reduce the tree’s size or height to adapt to the new environment. New growth will be directed away from structures to prevent damage. Don't trust anyone but a professional to prune your trees. Our customers can testify as to why Sarasota Tree Care Services is their favorite. Many of our clients have even been with us for years. Our arborists and technicians that work with customers come up with creative solutions for any problems so that trees can continue to grow and thrive. Our full-service company gives the best customer support available to guarantee each customer experience exceeds expectations. This dedication to excellence has been earning the trust of Bayview customers for years. 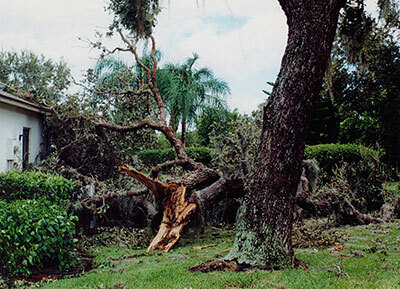 If you’re looking for trimming, tree removal, root management or any other tree care service, Sarasota Tree Care Services can help. We are timely with our arrival and work, perform the highest quality, and we always clean up after ourselves. Your satisfaction is our priority.